41249V87 48 pieces Threading Animals Enhance eye-hand coordination with this huge set of threading animals. Children learn to focus on the task at hand and will improve their fine motor skills at the same time. 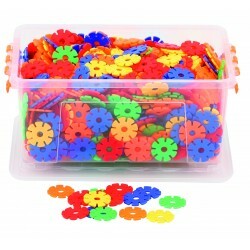 32 lacing shapes, 16 laces, 90 cm..
41301 V87 Gear Set Interlocking building blocks and gear wheels encourage problem-solving skills and fine motor skills. 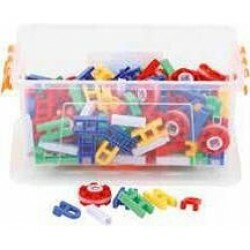 Playing with this set of building blocks children will be eager to learn more about mechanics and engineering. 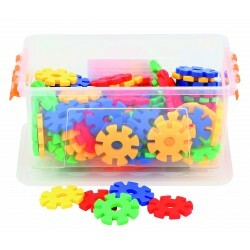 Dimensions: Large gear Ã˜ 11,8 cm..
41305 V87 Small Constructors Improve fine motor skills and dexterity while having fun is possible with this set of constructors. The set contains different shapes and colours which can be combined in many different ways. Challenge your studentâ€™s thinking and manipulative skills. 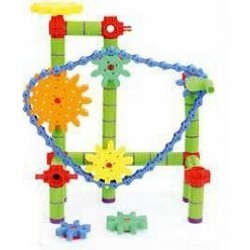 Dimensions: Wheel:..
41306V87 Large Constructors Sturdy bricks for unlimited hours of fun and learning. 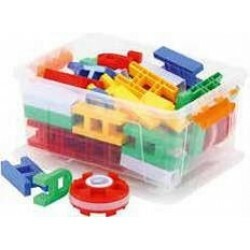 Building vehicles, shapes or other creative designs is easy and everyone can join in. Students can work together to create something new every day. Dimensions: Wheel: Ã˜ 7,7 cm..
Groovy linking flowers Let your children have fun with this cute and colourful set of assorted rubberized animals, which have been designed with tongue and groove connectors. 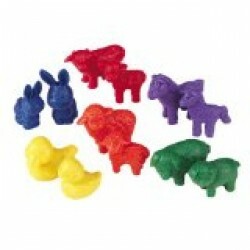 Great for developing fine motor skills, colour recognition, sorting and creativity..
41316V87 Groovy Animals 72 pieces Let your children have fun with this cute and colourful set of assorted rubberized animals, which have been designed with tongue and groove connectors. 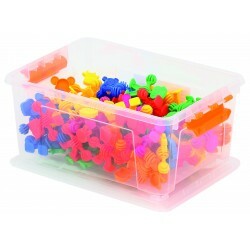 Great for developing fine motor skills, colour recognition, sorting and creativity. 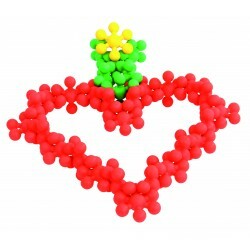 Height: 6,5 cm..
41319 Medium Grapes These large brightly coloured plastic grapes can be put together from all directions. 5 colours. 58 pieces..
41324V87 Small Plum Blossoms 190 pieces Create flowers, trees, animals, space rockets, robots, figurines and other geometric designs. 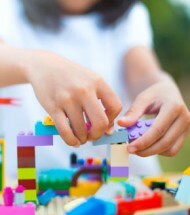 Use the instructions or create with your own imagination! 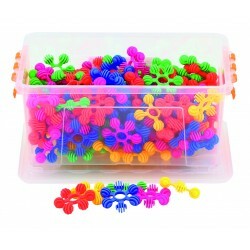 The colourful blossoms help the children build fine motor skills, hand and eye coordination and generate ide.. 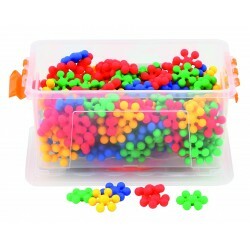 Ideal for matching counting & colour recognition Tub 192-Animal Counters-Dinosaur Counters..
Button Round Flowers tub 160 pieces..